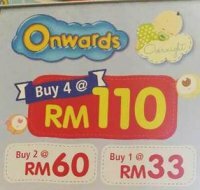 ONWARDS and KCA are back to IDCC Shah Alam baby fair again! Do not miss out our promotion package exclusively for baby fair! We guarantee maximum comfort for babies, hassle-free for mummies, all at a special discounted price! See you there at booth S070.